I took a long time to upload this review because the sheer complexity of the record meant that any first listens you have on the album would be a complete injustice to this. Animal Collective has always been a polarizing band, but attention was undivided with the band's 2009 immense breakthrough album Merriweather Post Pavilion, with its innovative song writing and spectacular use of sound effects. To the untrained ear it is a complete mess, but the way sounds appear sparse and detached, before suddenly coming together to create glistening, soaring choruses before breaking apart again, it is visually musical too. And it would only be sensible that Centipede Hz goes off from a different direction from their successful formula. The first difference is the dense production, with the sounds condensed into one heavy sound that at once hits you as claustrophobic and hurried. Yes, it is the same style employed in Merriweather Post Pavilion, but the rate at which the sound effects conglomerate is distracting this time round, while the original songs themselves lack any real structure or memorable hooks. Synth comes in with such unpredictability that even gorgeous tunes like 'Mercury Man' have this manic, uncertain feel to it, and, nuts to detractors, I found this a highly refreshing characteristic. The emphasis on a sonic experience, rather than the song by song method employed by radio artistes to pick the best singles and squeeze the most cash out of it, dictates that the album be listened to as a whole and it is one of those albums where the whole is more than the sum of its individual parts. And with many unconscious listens (ie. listening to it while playing games or studying or whatever it is people do for past time today), the melodies become more discernible. However, I have a problem with the lack of depth on this record. For so much an emphasis on 'experience', the album has few themes for you to take away. Also, does the sound effect exactly enhance the overall sound? The overuse of sound effects makes the album sound chaotic and wild at times, and though it works for energetic sounds like that on 'Today's Supernatural' and 'Applesauce', it does add the effect of juvenile pretense on songs like 'Monkey Riches', which I am hoping is some irony in reference to the title, it as if sometimes the sound effects are used to mask the weakness of the songwriting. Another gripe I have is the exclusion of two songs that were released prior to the album but not included in the mix; 'Honeycomb' and 'Gotham', which had strong songwriting and dynamic rhythms. This is, again, negligible because it's the artiste's choice what they deem fit for their release, but the inclusion of the two songs could break the hidden monotony in the album. 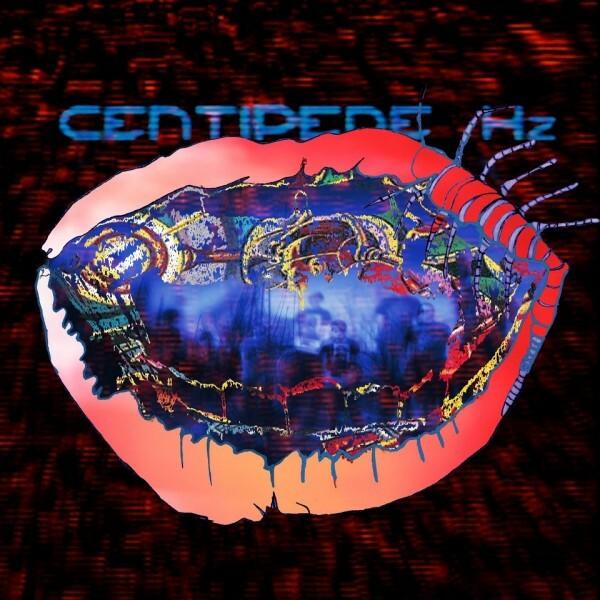 Good direction was key to Animal Collective's success, but while Merriweather Post Pavilion has coupled strong songwriting with this, Centipede Hz seems to what its title implies; many legs and small details but ultimately nothing to pull your face and create the full impact a song like 'My Girls' did three years ago. 1. ED SHEERAN - X!! 2. TAYLOR SWIFT - UNRELEASED!! 3. COLDPLAY - GHOST STORIES!! 4. LANA DEL REY - ULTRAVIOLENCE!! 5. PHARELL WILLIAMS - GIRL!! !